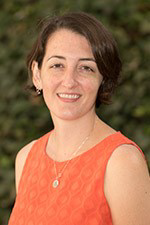 Blair Cushing, DO practices full-spectrum Family Medicine with Obstetrics in various locations throughout the Central Coast of California. She is a graduate of the Natividad Family Medicine Residency in Salinas, CA and the Texas College of Osteopathic Medicine. 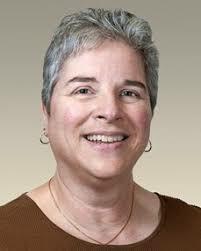 Her clinical interests include women's health, geriatrics, osteopathic manipulation, and migrant health. Prior to attending medical school, she had a career in social services largely focused on issues of housing and homelessness. She takes pride in relieving symptoms with osteopathic treatments and finds no greater joy than when patient wants to make sure they see her again. Blair spends much of her free time focused on community advocacy and politicking about whatever issues are enraging her at the moment. At home, she's taken on the challenge of becoming mom to three formerly feral kitties. Julie Theriault, PA-C is the lead Physician Assistant for Sutter Medical Group (SMG) in Sacramento, CA. She received her BS in Biology (Concentration in Clinical Laboratory Technology, Minor in Chemistry), her certificate as Primary Care Physician Assistant from the University of California, Davis School of Medicine and completed her PA Graduate Geriatric Medicine Program at Stanford University. 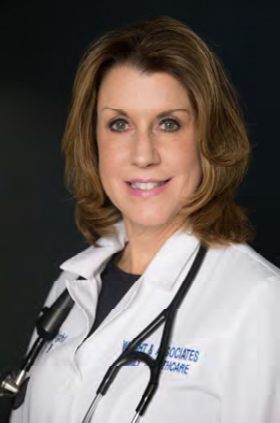 Julie is an active leader in the American Academy of Physician Assistants (AAPA), having served as Past President of AAPA and also Past President of the California Academy of Physician Assistants (CAPA). She also serves on many Sutter Medical Group Committees. Wendy is a 1992 graduate of the Adult Primary Care Nurse Practitioner program at Simmons College in Boston, Massachusetts and completed a family nurse practitioner post‐master’s program in 1995. She is an adult and family nurse practitioner and the owner of two, nurse practitioner owned and operated clinics within New Hampshire named: Wright & Associates Family Healthcare. In addition, she is the Owner of Partners in Healthcare Education, a medical education company. She is the Past President of NPACE and the Senior lecturer for Fitzgerald Health Education Associates. She is the recipient of numerous awards and was chosen by the American Association of Nurse Practitioners as the 1999 recipient of the New Hampshire State Excellence Award. In addition, she received the 2009 NH Nurse Practitioner of the Year and the 2014 Top 5 Women in New Hampshire Business Award. 1. Assess and implement the nationally accepted guidelines and standards of care for Chronic Low Back Pain (CLBP) management. 2. Describe pharmacologic and non-pharmacologic treatment options for managing Chronic Low Back Pain (CLBP). 1. Assess and implement the nationally accepted guidelines and standards of care for Chronic Low Back Pain (CLBP) management. 2. Describe pharmacologic and non-pharmacologic treatment options for managing Chronic Low Back Pain (CLBP). Pathways in Management: Chronic Low Back Pain is one of several activities brought to you by the following organizations dedicated to the enrichment of the medical community who continually strive to improve patient care: American Academy of Physician Assistants (AAPA), California Academy of Family Physicians (CAFP), Healthcare Performance Consulting (HPC), Interstate Postgraduate Medical Association (IPMA), and the Nurse Practitioner Healthcare Foundation (NPHF). This interactive case-based activity highlights current guidelines and recommendations that address low back pain from various organizations, describes how to put those into practice and provides tools and resources to support the appropriate care of patients with chronic low back pain (CLBP) to improve their quality of life. The CAFP Committee on Continuing Professional Development (CCPD) is responsible for management and resolution of conflict for any individual who may have influence on content, who have served as faculty, or who may produce CME/CPD content for the CAFP. Management/ Resolution may include learner notification, peer review of content before presentation, requirement of EB-CME, changing topics, or even dismissing a potential planning or faculty member. It is the policy of the CAFP to ensure independence, balance, objectivity, scientific rigor, and integrity in all of their continuing education activities. All individuals with potential to influence the content of this program have submitted Conflict of Interest declarations that have been reviewed according to policy. Learner notification of declarations is below. All individuals with potential conflicts have been contacted by CAFP staff or CCPD members, and issues of conflict have been discussed, managed, and resolved. AAPA has implemented a process to identify and resolve conflicts of interest that may exist which affect the independence and fair balance of an educational activity. All planning committee members, authors and speakers are requiried to disclose relevant financial relationships with any commercial interests. There were no potential or real conflicts of interest disclosed. NPHF has implemented a process to identify and resolve conflicts of interest that may exist which affect the independence and fair balance of an educational activity. All planning committee members, authors and speakers are requiried to disclose relevant financial relationships with any commercial interests. There were no potential or real conflicts of interest disclosed. Blair Cushing, DO, declares in the past 12 months neither she nor any member of her immediate family have a financial interest/arrangement or affiliation with one or more organizations that could be perceived as a real or apparent conflict of interest in the context of the subject of this continuing education program. Julie Theriault, PA-C, declares in the past 12 months neither she nor any member of her immediate family have a financial interest/arrangement or affiliation with one or more organizations that could be perceived as a real or apparent conflict of interest in the context of the subject of this continuing education program. Wendy Wright, FNP-BC, FAANP declares in the past 12 months neither she nor any member of her immediate family have a financial interest/arrangement or affiliation with one or more organizations that could be perceived as a real or apparent conflict of interest in the context of the subject of this continuing education program. Curriculum and Planning Committee Members Douglas W. Martin FACOEM, FAAFP, FIAIME; Cheri Olson, MD; Benjamin Smith, PA-C; and staff members from the American Academy of Physician Assistants: Marie-Michele Leger, MPH, PA-C; California Academy of Family Physicians: Jerri L. Davis, CHCP and Shelly Rodrigues, CAE, FACEHP; Healthcare Performance Consulting: Christopher Larrison; Interstate Postgraduate Medical Assocation: Mary Ales, CPHP, FACEHP, Heidi Ness and Kate Nisbet, MBA; Nurse Practitioner Healthcare Foundation: Phyllis Zimmer, MN, FNP, FAANP, FAAN and consultant Sheila Robertson, MPH declare in the past 12 months neither they nor any member of their immediate families have a financial interest/arrangement or affiliation with one or more organizations that could be perceived as a real or apparent conflict of interest in the context of the subject of this continuing education program. Learners must register to participate in and receive credit for this online educational activity. For information on applicability and acceptance of continuing education credit for this activity, please consult your professional licensing board. This activity has been planned and implemented in accordance with the accreditation requirements and policies of the joint providers AAFP, AAPA, CAFP and NPHF. This Enduring Material Activity, Pathways in Management: Chronic Low Back Pain, has been reviewed and is acceptable for up to 0.75 Prescribed credit(s) by the American Academy of Family Physicians. AAFP certification begins January 31, 2019. Term of approval is one year from this date. Physicians should claim only credit commensurate with the extent of their participation in the activity. The California Academy of Family Physicians (CAFP) is accredited by the Accreditation Council for Continuing Medical Education to provide continuing education for physicians. The CAFP designates this educational activity for a maximum of 0.75 AMA PRA Category 1 Credits™. AAFP Prescribed credit is accepted by the American Medical Association as equivalent to AMA PRA Category 1 Credit™ toward the AMA Physician’s Recognition Award. When applying for the AMA PRA, Prescribed credit earned must be reported as Prescribed, not as Category 1. This activity has been reviewed by the AAPA Review Panel and is compliant with AAPA CME Criteria. This activity is designated for 0.75 AAPA Category 1 CME credits. Approval is valid for one year from January 31, 2019. PAs should only claim credit commensurate with the extent of their participation. The Nurse Practitioner Healthcare Foundation is accredited as a provider of continuing nursing education by the American Nurses Credentialing Center’s Commission on Accreditation. This program provides 0.75 contact hours. This course is approved for 0.75 contact hours by the Nurse Practitioner Healthcare Foundation, California Board of Registered Nursing, CEP# 16441. This activity is designed to be completed within the time designated on the title page; physicians should claim only those credits that reflect the time actually spent in the activity. To successfully earn credit, participants must complete the activity online during the valid credit period that is noted on the title page. To receive AMA PRA Category 1 Credit™, AAFP Prescribed Credit, AANC Credit or AAPA Category 1 Credit, you must receive a minimum score of 65 percent on the post-test questions. Upon successful completion of the post-test, the learner will receive a certificate of participation that can be used to claim CME/CE credit. Read the target audience, learning objectives, and author disclosures. Study the educational content online. Choose the best answer to each online post-test question. To receive a certificate, you must receive a passing score as designated at the top of the test and complete the activity evaluation. Your certificate will be emailed to the address you provided when registering. You may print the certificate, but you cannot alter it. For questions regarding the content of this activity or for technical assistance, contact cafp@familydocs.org. The CAFP has made all reasonable efforts to ensure that information contained herein is accurate in accordance with the latest available scientific knowledge at the time of accreditation of this continuing education program. Information regarding drugs (e.g., their administration, dosages, contraindications, adverse reactions, interactions, special warnings, and precautions) and drug delivery systems is subject to change, however, and the learner is advised to check the manufacturer's package insert for information concerning recommended dosage and potential problems or cautions prior to dispensing or administering the drug or using the drug delivery systems. Approval of credit for this continuing education program does not imply endorsement by CAFP of any product or manufacturer identified. Any medications or treatment methods suggested in this CME/CE activity should not be used by the practitioner without evaluation of their patient's condition(s) and possible contraindication(s) or danger(s) of use of any specific medication. This activity will not include discussions of products or devices that are not currently approved for use by the Food and Drug Administration (FDA), and the curriculum clearly indicates this fact. This activity is supported by an unrestricted educational grant from Pfizer/Lilly. Chronic pain is an under-recognized and under-resourced public health problem with devastating impact. In the US, chronic pain represents more years lost to disability than cancer, heart attacks, and diabetes combined. Chronic low back pain (CLBP) has topped this list for over 35 years. An estimated 84 percent of adults experience low back pain within their lifetime. As the population ages and the prevalence of CLBP continues to rise, clinicians find themselves struggling to manage pain and restore function associated with these conditions. There are numerous guidelines for the management of patients with CLBP. Unfortunately, there is limited consensus across the various organizations. There are also very few recommendations with Grade A evidence leaving clinicians struggling for the best and most effective treatments for these patients. Our goal is to highlight current recommendations from various organizations and show learners how to put these into practice to improve the quality of life for patients with CLBP. CAFP policy and California state law requires that each learning activity have elements of cultural and linguistic proficiency included in the content. This activity includes these elements. The California Academy of Family Physicians (CAFP) is committed to protecting the privacy of its members and customers. CAFP maintains safeguards to store and secure information it has about members and customers. The safeguards may be physical, electronic or procedural. For more information, contact cafp@familydocs.org. © 2019 California Academy of Family Physicians. All rights reserved. No part of this activity may be used or reproduced in any manner whatsoever without written permission except in the case of brief quotations embedded in articles or reviews.